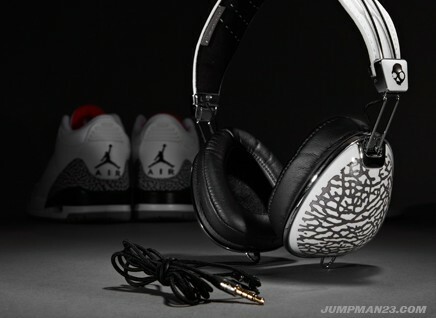 The Jordan Brand once again teams up with Skullcandy, this time releasing two limited Aviator headphone sets for the launch of the Air Jordan 2011. Last summer, the Jordan Brand teamed up with audio equipment manufacturer and customizer Skullcandy on two "For the Love of the Game" Pack releases. The two sides find themselves paired up again this year, with custom "Aviator" headphone sets being released this weekend for the All-Star festivities and the official launch of the Air Jordan 2011. The first Aviator set being released is for the brand new Jordan 2011. 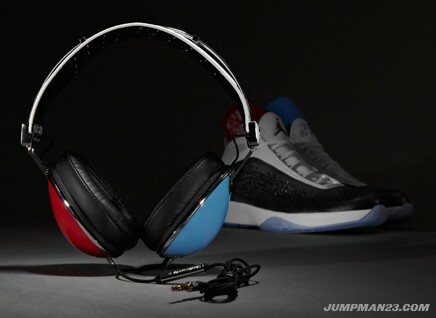 The headphones feature one blue ear and one red ear, which is inspired by the interchangeable "Quick" and "Explosive" midsoles that come equipped with the shoes. 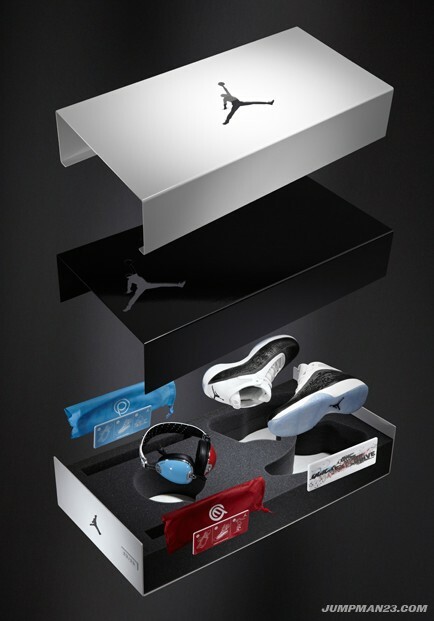 The headphones will be packaged with a pair of the new MJ signature shoe. Also being released is the Air Jordan Retro 3 Aviators, which salute the recently released "Cement" Jordan 3. As you'd expect, the headphone feature the elephant print that you'll find on the toe and heel rands of the aforementioned Air Jordan. Priced at $500, these sets will be exclusively at the Westfield Culver City Mall Footaction location this Saturday. Doors open at 10:00 a.m. PST.